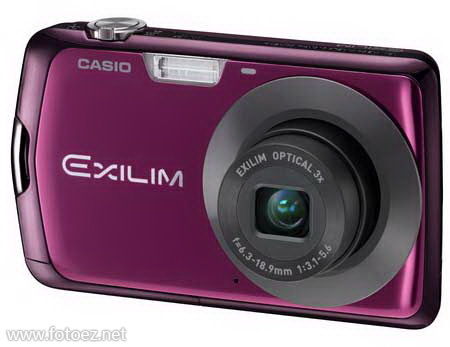 Free Download Casio EXILIM EX-S7 PDF User Manual, Instructions, User Guide, Owner's Manual. Casio EXILIM EX-S7 is a 12.1 effective megapixel digital camera with a 3X optical zoom lens and a 2.7 inch, high-quality LCD screen. With a quick-access dedicated movie button, users can record memorable moments in 720p high-definition. The EX-S7 is a fresh and fashionable alternative for anyone looking to fill basic photography needs. EX-S7 offering modernized features and improved image processing capabilities through BEST SHOT, Easy-Mode and Face Detection, the new cameras deliver quality images that can be shared on a variety of social media platforms such as Facebook and YouTube.Whether on-the-go or spending quality time with friends and family, the photo taking and sharing experience is fun and occurs at the touch of a button. The EX-S7 also features Casio's celebrated Dynamic Photo, a Hollywood-like green-screen effect which adds animated graphics into still photos where users can create unique e-greetings to share with friends and family. Dynamic Photo gives the power to create original and artistic visuals that can be emailed, posted on social networks and even printed out at home.